Every summer Americans air up their cars' tires, wax the paint, maybe vacuum the carpet and hit the road. Sometimes to the beach. Sometimes to the mountains. Sometimes to nowhere, in the quintessentially American activity of cruising. There's something about a sunny day or a warm evening that motivates people to move. Younger drivers need cars in the summer that let them exercise their independence and maybe help them meet like-minded people. Older drivers need wheels that let them bring the family and their gear along for shared adventures. These differing agendas mean that there is no single perfect summer car — well, maybe a resto-modded candy apple red 1960 Corvette. But there are some good autos that hit our summer sweet spot. For 12.7 million Americans, summer means spending time on their boats, and most of those boats need to be towed to the water. Most substantial pickups or SUVs will tow a boat. But the Chevy Suburban virtually invented the category of practical vehicles that can tow a boat while carrying the whole family and a weekend’s supplies in safety and comfort. That’s why the Suburban was dubbed the “Cowboy Cadillac” before Cadillac and other luxury makers entered the SUV market. With an available 352-hp 6.0-liter V-8, the Suburban can be outfitted to tow 9,600 lbs. and to carry more than 2,400 lbs. of passengers and cargo. Don’t try this with any poser crossover SUV unless you are angling for a fraudulent warranty claim. When the time comes for that long-planned family trip to Wally World, no vehicle can match the combination of spaciousness, comfort and fuel efficiency provided by a minivan. Chrysler not only created this product segment, but the Town & Country expanded it by adding luxury features such as leather seats. Now the T&C distinguishes itself with goodies like satellite television shown on two ceiling-mounted screens, an available wireless router and a cooler that fits in the in-floor “Stow & Go” storage bins. Yes, when Christie Brinkley waves from her Ferrari in the next lane, you will be Clark Griswold. But if you’re married with kids, you were Clark Griswold before you got in. So don’t blame the van. Just because the Hummer H2 died from a lethal dose of political correctness doesn’t mean that shoppers can’t find a macho 4x4 to which the label “badass” can be applied without irony. 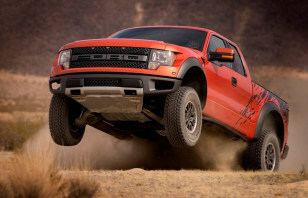 No, Ford will happily supply anyone in need of such a vehicle with the almost oppressively virile F-150 Raptor. Who needs such trucks? Well there are plenty of off-road enthusiasts who like to be able to navigate beach sands, swamp mud, desert rocks or rutted fire roads, depending on the local topography. Warm summer evenings mean cruising, and ideally with a convertible top that goes down. Mustang has the looks, the sound and the heritage for this job. So far, convertible versions of the Dodge Challenger and Chevrolet Camaro aren’t available, making Mustang convertible the pre-eminent cruising machine. 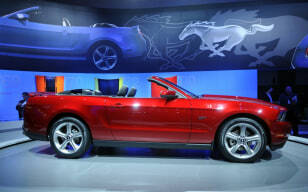 Any Mustang will do, especially now that the base V-6 engine has been boosted to 305 horsepower. The 550-hp Shelby GT500 convertible would be the pinnacle of muscle cruising, however. But try to save the burnouts for visits to the drag strip. The Honda “Elephant” has its haters, it is true. But dog lovers aren’t among them, especially since Honda introduced its “Dog Friendly pet accommodation kit” including a cargo area kennel, which makes it ideal for summer trips to the dog park. There’s a ramp for the little dogs and the porkers to waddle their way into the back, and a fan to keep fresh air flowing in the way back. A spill-resistant water bowl and vinyl rear seat cover help cut down on the mess inside. For other outdoors types, the $22,000 Element’s boxy shape is ideal for carrying bulky sports equipment like mountain bikes securely inside. And when it is time to bed down, the fold-away seats leave room inside for a sleeping bag. Summer means outdoor activities; fishing, camping, parties on the beach, and these activities require a suitably off-road capable vehicle. The Wrangler is not only an active sports icon, but its roof comes off for open-air driving fun. Doing serious off-roading? Then remove the doors and fold down the windshield and the Wrangler lacks only the olive drab paint to be a dead ringer for its military ancestor. With the recent addition of a $25,000 four-door Unlimited version it is easier to pack a Wrangler with friends for a weekend’s activities. It's a Jeep. How can you go wrong on a summer weekend? Next to the definition of “summer” in the dictionary there should be a picture of a sporty little two-seat roadster, a car that promises fair-weather adventures with no surplus of amenities. Mazda’s 167-hp Miata not only looks the part, at 850,000 cars and counting it is the best-selling two-seat roadster in the world. Ever. Sure, the $25,000 Miata has spread a little bit in middle age because of stiffer crash safety requirements and similarly spreading customers who demand more space in the cockpit. But it remains an unadulterated example of the roadster genre. If you can’t have fun in a Miata, you may have forgotten how. How about a trip to Europe for the summer? Who wouldn’t like to do that, especially if it is combined with a 7 percent discount on the purchase of a shiny new convertible? Buy the $57,000 Mercedes E-Class convertible under the company’s European Delivery program and Mercedes will cover your hotel and taxi in Stuttgart, Germany, breakfast and a tour at the factory and 15 days worth of insurance for you to enjoy the car driving around Europe before depositing it at a port for shipment home. The company pays for the shipping and taxes and there are no “destination” charges. You have to pay for your own airfare and your expenses once you leave the factory with your convertible, but what better way to enjoy a European summer holiday than in a convertible? Especially if it is big enough to take friends along once you get home. Vote for the Mercedes-Benz E-Class convertible as the best summer vehicle. In summertime we sometimes get to spend time tooling around resorts in Mini Mokes, maybe renting a dune buggy or riding an ATV, but these vehicles are usually not something we can use when we get home. The diminutive 70-hp, three-cylinder Smart is of a similar scale, and with the convertible top down, it gives much of the same “I’m getting away with something” feeling that got Bill Murray arrested for driving a golf cart to his hotel in Sweden a few years back. Who among us wouldn’t like to do the same? The $17,000 Smart convertible lets us do it legally. Yeah, the Beetle convertible is more iconic, but Volkswagen’s $33,000 Eos is more sophisticated and jettisons the Beetle’s hippie-dippy cultural baggage. It also has a folding hard top rather than a traditional soft top, so the Eos provides better urban street parking security for the car and its contents. And the slick roof mechanism has the ability to retract just the part over the front seats, providing a targa-roof experience on cooler days. It can fold the whole roof in better weather. The hardtop roof even has a glass panel over the front seats that lets light in when the roof is closed. Old soft top Beetles might have also let the sun shine on the driver when the roof was up, but that may have been because of a hole in the roof.